With the use of smart tag technology, the study will remotely monitor the effects of shearing on sheep behaviour. Researchers from the Western Sydney University are leading a world-first study that will trial the application of smart technology to monitor behaviour, in combination with physiological and epigenetic changes, in Merino sheep reproduction. 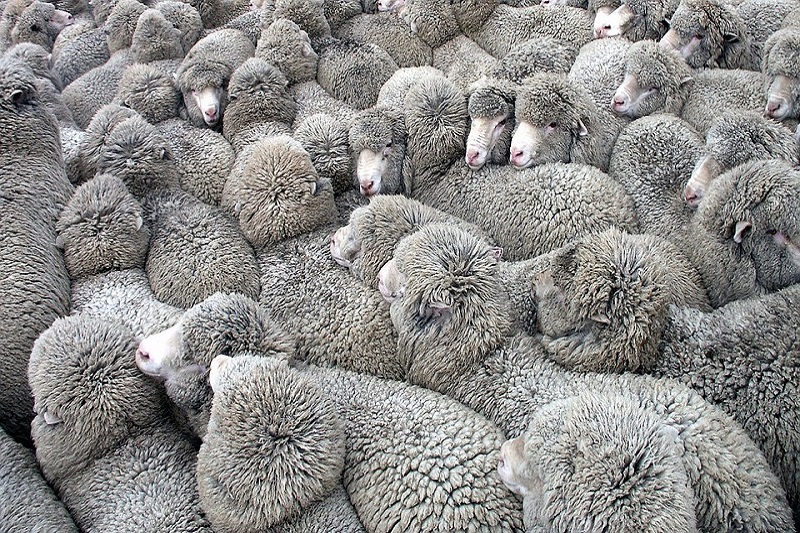 According to a recent report, the study will remotely monitor the effects of shearing on sheep behaviour using the smart tag technology developed by a company focused on growing the Australian wool industry. The monitoring will focus on shearing frequency and reproductive milestones. It will also include assessment of the sheep’s movement, feedbase interactions and reproductive outcomes. These will be used to produce a template of new biomarkers that will boost sheep reproduction programs. This study aims to gain a better understanding of the changes that occur in utero in Merino lambs under shearing frequency. The results from the study will have significant commercial and scientific value, according to Dr Edward Narayan, the research lead from the University’s School of Science and Health. Reproductive wastage of viable embryos and lambs is an important problem in the livestock industry and the results of this study could contribute to reducing it. Through this new research, the team will be able to obtain real-time scientific information on the reproductive status, behaviour and physiology of maternal ewes and the data applied to better understand the nexus of maternal-foetal environmental interactions and overall productivity. The long-term aim of the current research is to provide a deeper understanding of the lifetime production traits in Merino sheep. Thus, it is anticipated that the study will help make remote health screening of mothers and lambs, using new smart technology, a reality. The greater goal at hand is to move away from solely assessing DNA and move to a more holistic approach. This approach includes the examination of environmental factors that impact DNA at a molecular level, which is known as epigenetics. The sophistication of non-invasive technologies such as smart tags, Next-Generation Sequencing (NGS) and wool based reproductive and stress hormone monitoring is at a point now where remote screening of sheep reproduction and welfare is a real possibility. The study will also pave the way for producers to monitor environmental impacts on their own flocks using data from smart tags directly transmitted to mobile phones. Producers want to understand the ecological systems better within their landscapes. They want to evaluate the point at which they function optimally, understand responses to shearing to improve productivity but at the same time improve maternal health, lambing percentages and overall welfare of their valuable sheep flock. Location tracking for stock is not new but this application could be advantageous for sheep-on-farm reproductive productivity and whole-farm profitability. The company will be funding the study through a grant with results expected in late 2019. A group of researchers from the University’s Stress Lab will be assisting in the research. A Masters candidate, who has explored the use of wool as an indicator of reproductive health in livestock in his recent research, will contribute his expertise in remote monitoring. Sustainable agriculture and food security undergraduate students, who have been awarded Australian Wool Education Trust scholarships, will assist with monitoring and analysis in the field and laboratory.